Shapiro poses several questions about the relationship between changes in architecture and shifts in social organization in the social context of the period 1200 to 1600 C.E. In doing this, he demonstrates that an in-depth application of space syntax to this archeological context can shed new light on old questions. Architectural remains constitute some of the best examples of cultural activity found in the archeological record. They reflect purposeful patterns that can be described in terms of sets of relationships among built forms that result from recurrent human behaviors. At its simplest, architecture impresses a social “fingerprint” upon the landscape, a behavioral code that can be read and interpreted. 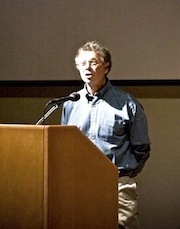 Shapiro attempts to demonstrate that space syntax analysis is one way to “read” the particular fingerprint of Arroyo Hondo Pueblo. This monograph examines architectural changes among the Ancestral Pueblo inhabitants of Arroyo Hondo Pueblo and other fourteenth- and fifteenth-century settlements in what is now the northern Rio Grande Valley of New Mexico. Shapiro applies the technique of space syntax to architectural changes as an embodiment of social organization, employing “space” as an artifact. 2006 A space syntax analysis of Arroyo Hondo Pueblo, New Mexico; community formation in the northern Rio Grande. Electronic document, http://www.thefreelibrary.com/A+space+syntax+analysis+of+Arroyo+Hondo+Pueblo, +New+Mexico%3B+community...-a0141643106, accessed October 5, 2013. 2007 Review of A Space Syntax Analysis of Arroyo Hondo Pueblo, New Mexico: Community Formation in the Northern Rio Grande, by Jason S. Shapiro. Journal of the Royal Anthropological Institute 13(2): 485-486. 2006 Review of A Space Syntax Analysis of Arroyo Hondo Pueblo, New Mexico: Community Formation in the Northern Rio Grande, by Jason S. Shapiro. Journal of Anthropological Research 62(4): 573-574. 2010 Review of A Space Syntax Analysis of Arroyo Hondo Pueblo, New Mexico: Community Formation in the Northern Rio Grande, by Jason S. Shapiro. Kiva 75(3): 1-3. 2005 Journal of Field Archaeology 30(4): 468. 2007 Review of A Space Syntax Analysis of Arroyo Hondo Pueblo, New Mexico: Community Formation in the Northern Rio Grande, by Jason S. Shapiro. New Mexico Historical Review 82(3): 408-410. 2006 Review of A Space Syntax Analysis of Arroyo Hondo Pueblo, New Mexico: Community Formation in the Northern Rio Grande, by Jason S. Shapiro. Journal of Field Archaeology 31: 228-229. 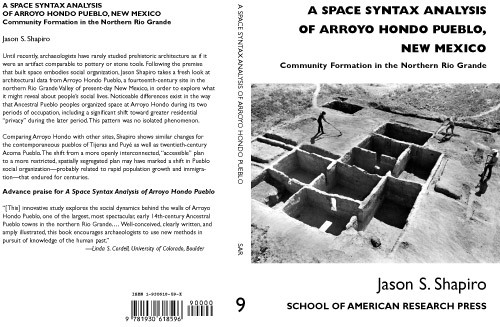 2008 Review of Jason S. Shapiro’s 2005 A Space Syntax Analysis of Arroyo Hondo Pueblo, New Mexico: Community Formation in the Northern Rio Grande. Electronic document, http://wings.buffalo.edu/ARD/cgi/showme.cgi?keycode=3256, accessed September 20, 2013.